Locate your local PurpleStride and click “Register.” Select whether you’re signing up to participate as an individual or with an existing team, or simply create your own team. You’ll then be taken to an online registration form that asks you to set up an online account with a unique login. Once you’ve registered, you’ll also receive your own My Strider Central webpage. You can use this webpage to collect donations, send emails to your friends and family and track your progress toward your fundraising goal. If you’re a team captain, you can also set up a page for your team. To boost your donations, customize your page with a photo or video, and be sure to include your story. It will motivate friends and family to donate. Do I need to register if I’m walking? Yes, registration is required for all participants, whether you’re walking, running or volunteering. What’s the difference between donating and registering? When you donate, you make a financial contribution to PurpleStride through the fundraising pages of individual participants, teams or to the event as a whole. Donating doesn’t sign you up to participate on event day. And as a donor, you won’t receive login information or access to an online fundraising page. Donate to a PurpleStride participant, team or event. When you register, you sign up to participate in PurpleStride on event day, and you have the opportunity to raise money for the cause. Your registration fee will go toward your fundraising total. When you register, you’ll also receive login information and access to My Strider Central — an online participant center where you can manage your personal fundraising page, send fundraising emails and more. Register for a PurpleStride event near you. I've participated in PurpleStride before. Can I use the same login information? Yes, you can! When the registration form asks if you are a New or Returning User, enter your past login information in the “Returning User” section. If you don’t remember your username or password, we’ve made it easy to recover it. Simply click on the “Email me my login information” link at the bottom of that section, and enter the email address you used to register in previous years. Do I need to register each member of my family? Please register each person planning to attend, including children. If possible, use a unique email address for each member of your family, as each person will receive individual login information and a fundraising page. Yes, but we strongly encourage you to register online so that you can avoid long lines on event day and guarantee you get an event T-shirt! Also, event registration prices increase on event day. I already registered, but I signed up as the wrong registration type. Can I change my registration? If you’d like to change your registration type, please contact Customer Service at events@pancan.org or 877-272-6226. We can accommodate these changes until the online registration deadline. I'd like to register friends and family, but it says I can't because I'm already signed up. What do I do? This error usually happens because you are trying to register new participants while you’re currently logged into the site. If you see your name on the top of the website (above the “More Info” button), click “Logout.” You should then be able to register your friends and family. If you continue to get a message that you're already registered, your computer has likely saved your login information and is automatically logging you back in. Try deleting the history, cookies and offline content in your internet browser program. Then close your browser program down entirely and re-open. From the event's main page, select “Sign in” at the top of the page. Then, scroll down to "Forgot your Username or Password?" and enter the email address you used to register. Your username and password will be sent to the email address you used to register. If you don't receive your password reset email, please contact Customer Service at events@pancan.org or 877-272-6226. I signed up as an individual, but now I want to start a team. How do I do this? Please contact Customer Service at events@pancan.org or 877-272-6226, and we can help you set up your team. I signed up as an individual but wanted to join my friend's team. Can I change my registration? Yes, you can. Please contact Customer Service for support at events@pancan.org or 877-272-6226 and they can help you get added to your friend's team. If we register as a team, can our members participate as either timed or untimed? Yes! Each team member can choose to register as any registration type. However, please note that not every PurpleStride has a timed component. Please see the Registration Information on the Event Details page for more details. What can I do on my fundraising page? Your fundraising page allows you to upload a photo and story to explain to friends and family why you are supporting the fight against pancreatic cancer. You can also see who's donated and send thank you emails. Here are some instructions on how to personalize your PurpleStride fundraising page. Can I upload a photo or video to my fundraising page? Yes and yes! You can upload images in .gif, .jpg or .png format, and you can also embed a YouTube video. Image files must be smaller than 6 megapixels or 150KB. Need more help? Here’s a guide to using photos and videos on your PurpleStride fundraising page. Anyone can see who has donated publicly to you by visiting your personal page. To see all donors and thank them, select “Sign in” at the top of the event page and log in with your username and password. Then, select your event. Once you enter My Strider Central, visit the “Progress” tab to view a list of all your donations to date. Why aren't some of my donors showing up in the "Honor Roll" scroll window? If donors choose to donate anonymously, their name and the amount of their contribution will remain anonymous to the public. However, you can view their information by logging in to My Strider Central and reviewing your donors. If they make the donation anonymously, they will still be acknowledged for their donation via email, and you’ll still get credit for their donation. Why is a donor showing up on my team page “Honor Roll”, but not on my personal page “Honor Roll”? A donor can choose whether to make their donation toward a team or a specific person on a team. Donations made to all personal pages will automatically go toward the overall team goal, but general team donations will not reflect on any team member’s personal pages. How do I send emails through my fundraising page? Sending emails is quick and easy, and helps you raise about twice as much as people who don’t send emails from My Strider Central! Once you log in to My Strider Central, select “Send Email” on the right-hand sidebar. Then, follow the instructions to send emails to family and friends asking for their support. We’ve created a helpful guide for sending emails from My Strider Central to help you get started. You can also upload your address book and other contacts. How do I post my fundraising page to Facebook and Twitter? Want sample posts and tips for sharing your page on Facebook, Twitter and Instagram? We’ve created this guide to help you raise funds through social media. Also, check out our FAQ on the new Facebook Donate button. Can I promote my PurpleStride page on social media? Yes! We highly encourage you to promote your page on social media. However, if you are promoting on Facebook, please do NOT use the “Donate” button feature. What is the Facebook “Donate” button? It is a new feature from Facebook allowing people to opt in to adding a “Donate” button to their posts. People who click on the “Donate” button will be able to give to a nonprofit via Facebook’s Fundraising platform. I promoted my PurpleStride page on Facebook and a “Donate” button appeared. What is that? Do NOT opt in to the “Donate” button if you want your funds to be attributed to your PurpleStride page. Funds given through the “Donate” button will not be added to your pages, and will come through Facebook and be attributed as anonymous donations. I thought I was raising money for my PurpleStride page through that “Donate” button. Can I move those donations to my PurpleStride page? Unfortunately, we cannot move funds raised through Facebook to your PurpleStride, as the money is being funneled through Facebook and is processed as a lump sum every two weeks. We recommend deleting the post with the “Donate” button immediately. You can still promote your PurpleStride page on Facebook, but please opt OUT of using the “Donate” button. That way, people will click the link to your page and donate on your actual page. Please contact us at info@pancan.org with additional questions. Will those people who donated be acknowledged on my PurpleStride page? Unfortunately, those donors will not appear on your PurpleStride pages, as they have donated via Facebook and we receive limited information on donations that come through Facebook. We apologize for the inconvenience, but if you know who the donors are, we encourage you to thank and acknowledge them in different ways! I don’t see the option to donate to the Pancreatic Cancer Action Network. What should I do? We appreciate your desire to fundraise for the Pancreatic Cancer Action Network! There is no way to currently fundraise for your PurpleStride team using Facebook Fundraisers or Facebook’s “Donate” button. We highly encourage you to fundraise on your PurpleStride page by logging into My Strider Central. However, you can still share a link to your PurpleStride page on Facebook. As long as you don’t select the “Donate” button, the funds will still go to your PurpleStride page. If you would like to fundraise for something other than PurpleStride, we encourage you to set up your own fundraiser on our Wage Hope My Way platform. The money will come directly to the Pancreatic Cancer Action Network and we’ll be able to provide a lot more support. Facebook requires a fee, and our ability to acknowledge donations from Facebook is very limited. Of course, if you’d still like to fundraise with Facebook, we are happy to help where we can. I still want to create a fundraiser on Facebook. How can I do that? To create a Facebook Fundraiser, click “Start Fundraisers” in the left menu of your News Feed. Then, search for Pancreatic Cancer Action Network, and choose a cover photo and fill in the fundraiser details. Click “Create.” You can also create a fundraiser directly from the Pancreatic Cancer Action Network Facebook Page. Will I be acknowledged for my donation given through Facebook? You will still receive a tax-deductible receipt, but we will not be able to credit the donated funds to your name. We receive donations from Facebook in one lump sum, and all donations will be credited as an anonymous donation via Facebook. No, we cannot provide a receipt as that comes directly from Facebook. However, you can always get another copy of your receipt in your Payment History on your Facebook page. To view your payment history, click in the top right of Facebook and select Payment History. Are there fees to use a Facebook Fundraiser? No. There are no more fees from Facebook. We will receive 100% of the donated funds. How do I install and get started using the PurpleStride Facebook App? Go to Facebook from your computer. In the search bar of your Facebook page, type PurpleStride. The app should come up. Log in using the User Name and Password you set up when you registered for PurpleStride. Click the images in the “Cover and Profile Picture” section in the bottom left corner to make the PurpleStride image your profile image and cover photo. In the “Ask Your Friends to Support You” section, select a message to post on Facebook. When you first log in to the app, a window will appear offering to set up scheduled posts. Check the messages you would like to appear in your News Feed on a regular basis and click save. To set up scheduled posts at a later time or edit your currently scheduled posts, click the “Schedule posts now!” link and check which messages you would like to appear in the News Feed on a regular basis. How do I install and get started using the PurpleStride smartphone and tablet app? Search the Apple App Store or Google Play Store for the PurpleStride app. Install the app from the Apple App Store or Google Play Store. To get started, find the PurpleStride app icon on your smartphone and tap to open. Tap “Get Donations” to access your donation request options. Tap any of the available messages to post to Facebook, Twitter, send a text message or email friends. Please note: You must have each of the corresponding apps installed (Facebook, Email, etc.) in order to use this function. Tap “Enter a Donation” to make a self-donation or collect donations from friends on the spot! I am registered for more than one PurpleStride. Do I need more than one fundraising app? You can use the same app to fundraise for all of your PurpleStride events, as long as your user name and password are the same. (If you have multiple logins please contact events@pancan.org to merge your accounts.) Simply select the Facebook or Mobile App link in My Strider Central. In the Facebook App, click the arrow next to the name of your PurpleStride event and a drop down list box will display that allows you to toggle between each of your PurpleStride events. This allows you to easily send posts to the news stream to friends for all of the events you are participating in this year. In the Mobile App, Select the "arrow out" icon from the bottom menu page to toggle between events. When you are in the app, there can only be one PurpleStride selected at a time, but that PurpleStride event can be changed at any time. When you change the PurpleStride event, new posts and messages will reflect the current PurpleStride selected while previous posts will show up with the PurpleStride event that was selected at the time the post was made. Any scheduled newsfeed posts that you have opted-into will be based on the event selected at the time you scheduled the posts. If I accidentally deleted my app can I re-add it? Can my friends or family add my app to their Facebook pages? Only if they are registered PurpleStride participants. We don’t currently support the ability for friends to fundraise on behalf of participants. Can I remove the Facebook App? In the left hand column of your Facebook Home Page, under Apps, hover your cursor over PurpleStride. Click on the gear icon that appears next to it. Confirm that you want to remove the application by selecting “Remove” on the pop-up screen. Keep in mind: if you are planning to participate in PurpleStride next year, you can use the same app so no need to remove the app each year. I received a donation but my app doesn’t reflect it yet. The app gets updated every few hours. Depending on when the donation came through it may not be reflected yet. If you would like it to update immediately, you can click on the refresh link on the app and it will update the information in 2-3 minutes. Can I donate to a participant without registering? Yes! Click the “Donate” button, then type in the first or last name of the participant exactly how it’s spelled, or search by team name. Once you submit your donation, you’ll receive an email within 30 minutes confirming your transaction. Please allow 24 hours for online donations to be processed and reflected on the participant's website. Donations are tax-deductible. Our 501(c)(3) (tax ID) number is 33-0841281. Can I donate by phone or by mail? Sure! To make a donation by phone, call 877-272-6226. If you prefer to send a check by mail, download, complete and mail this donation form. Please indicate the name of the event you’re donating to, as well as the name of the team or individual, if applicable. When donating by mail, there may be a delay of a few weeks before the donation is reflected on the personal or team page to which you donated. This is due to mailing time as well as gift processing time. I accidentally donated instead of registering. Can I just switch my donation to a registration? Unfortunately, we can’t transfer donations over to registrations, or vice versa. This is a system limitation as well as a financial security issue. Please contact Customer Service at events@pancan.org or 877-272-6226 for more information. 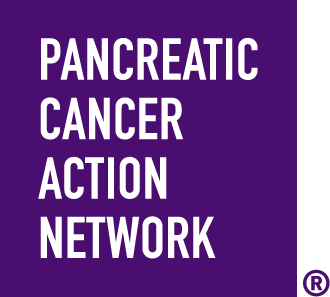 What is the Pancreatic Cancer Action Network’s tax identification number? Our tax identification number is #33-0841281. Can I pick up my T-shirt before event day? Yes, you can! Most PurpleStride events host a pre-event day packet pick-up. We’ll post more information on the Event Information section of the website as it becomes available. Yes! If your PurpleStride hosts a packet pick-up, you can register there. We’ll post more information in the Stride Event Details section of the PurpleStride website as it becomes available. What happens if the weather forecast is calling for rain on event day? PurpleStride is a rain-or-shine event. If severe weather is anticipated, please check the event website for last-minute updates. If the event is canceled due to dangerous weather, we’ll send an email on the morning of the event to all pre-registered participants. Can I bring a stroller with me to the event? Yes! Strollers are more than welcome at PurpleStride. Can I bring my pet with me to the event? We love animals just as much as you do, but for safety and liability reasons, pets are not allowed at PurpleStride events. Can my shirt be shipped? Unfortunately, shirts will not be shipped for PurpleStride. Most PurpleStride events host a pre-event day packet pick-up where you may pick-up your team's shirts. You will also be able to pick-up your shirt on event day.